The design layout for 22Bet.com is very bland and simple. It uses a white background with blue and green panels. The color scheme is somewhat similar to other online bookies and looks nice and clean. The panels on the left and right side have their own scroll bars which is a very nice addition to the quality of life design of the site. That way, you can actually keep it static if you are trying to scroll between the different panels of the site. Overall, all I can say is that this website is smartly designed and it is very easy to look at. It will not stress your eyes if you stare at it for a long time due to the lighter color scheme that they used. There have been multiple claims and complaints regarding 22Bet website’s policies. Some players have had their accounts closed and also their winnings confiscated. Aside from that, there are also reports of where people who even completed their KYC process legitimately still being denied for withdrawal. So let’s delve deeper and dissect these claims. The first major complaint that I have found in regards to 22Bet is that of account closure. Most of these happen when people violate the terms and conditions set by the website itself. However, the company is not very transparent whenever they block someone’s account. 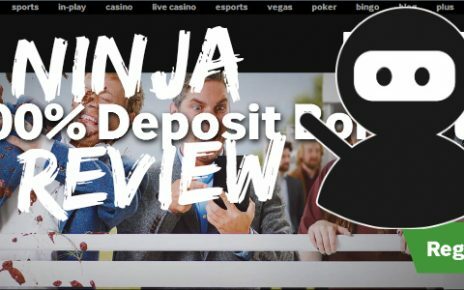 All they quote is that the person or the bettor has broken the terms and conditions and will immediately close your account with you having no way of getting back your deposits and winnings. The second major complaint that I have unearthed regarding this company is their refusal to pay out winnings of the gamblers. Time and time again, I have read complaints from different people where they were refused to be paid. 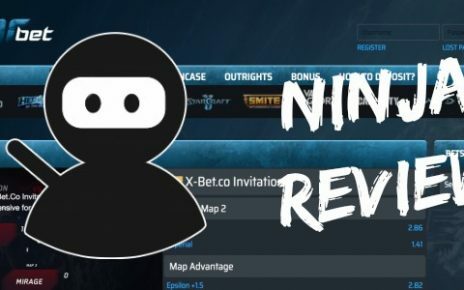 The company seems to give them the runaround and will offer a lot of excuses as to why they are not able to pay out, even as far as blaming the bettor’s financial institution. What concerns me is that these things happen to bettors that have legitimately completed their KYC process. Aside from the withdrawal complaints that people have been complaining, I also discovered that they sometimes would not legitimately pay out your bets. They seemingly cancel your bet slips if the team you bet on is somehow on the verge of winning with a few minutes left on the clock of the match. Surfing through the reviews, I found out that the biggest part of all these cases has been successfully resolved. There are a lot of features that are offered here on 22Bet. For one, this looks like a gambling paradise for people who are interested in placing their bets on sports and eSports. However, since we are concentrating on the eSports side, they do offer a multitude of options on it. First of all, they carry all the major eSports titles such as CS:GO, Dota 2, League of Legends, Heroes of the Storm, Hearthstone and Overwatch. Aside from that, they also offer match betting on Quake, Call of Duty, Rocket League, and Battlefield. They even carry very obscure titles such as the racing eSports such as F1 and also other games like NFL and even Street Fighter. The odds being offered here are straightforward. It is the same as any online bookie, although they offer a slightly higher or lower betting odds compared to others depending on how many people placed their wagers on the said match. Of course, underdogs will always have a higher pay odds and the fan favorites or the stronger teams will always have low odds. They actually offer even odds here for big name teams, which pretty much evens out the field. If you are looking for a big payday though, I suggest you run their own version of the parlay bets. They do offer it and the stake adds up whenever you have placed multiple bets. However, if you are playing in multi-bets, I would suggest limiting it to 5 events so that you would have an easier time completing that parlay. Their bonus structure is actually in tiers. The bonus structure they offer revolves on just depositing cash, no referrals or promo codes from invites. First deposit will grant you a 122% bonus, the second one will give you a 22% bonus. The third and fourth options are from what they call Reload, which involves depositing funds on specific days and you will get the Reload bonuses for that day. Use the 22_192 promocode to get first deposit bonus up to $130 instead of $100! They do offer multiple modes of depositing funds. First, they accept all major credit cards and bank transactions as any other online bookie. They also accept payment portals such as Skrill, Neteller, Boku, Qiwi and even Ali Pay. Then, they also accept major cryptocurrencies like Bitcoin, Ethereum, Litecoin, Monero, Zcash, and even NEM. What sets them apart is that they accept deposits from money transfers such as Tele Pay and Amigo. Aside from the money transfer option, they also offer mobile payments that will be charged on your mobile phone service provider if it is being offered in your country. All in all, they have a lot of options if you are trying to deposit funds in your account. The customer service experience being offered on this site is horrible. First of all, not all of the customer service representatives are fluent in English, although they offer the site in English. Second, they take a long time to answer your query on the online chat support. When I tried to ask a question on the online chat support, I had to wait exactly 27 minutes for a representative to even reply. Their email support is equally horrible based on what I have researched on. They take at least 7 days to reply to your email. One bettor actually complained that he sent a support ticket and the email support replied a month after. That is not a good sign of customer service if you ask me. The site is not mobile friendly at all. It looks nice, prim and proper whenever you are on a computer but whenever you log on using a mobile phone, the layout is all over the place. The panels overlap each other making the words unreadable. Also, it has a slow loading time on mobile devices since it was only optimized for PC. However, if you must go to this site on a mobile device, I suggest using a tablet as that is somewhat a little tolerable. 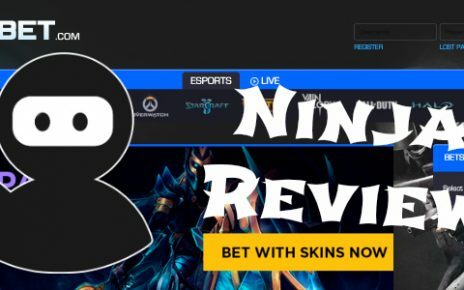 22bet.com is not bad itself and they do offer a lot of matches that you can bet on, especially if you are a CS:GO fan.